A world long gone and unfamiliar to most people. And yet visitors will find surprising parallels with today in the economic structures that appear modern but were developed 900 years ago by the Cistercian monks. Perspectives shift – the familiar appears in a new light. "Ora et labora" – pray and work: that was both the method and the goal of all activities. Here, this bygone world comes to life through modern forms of interpretation and extensive exhibitions that are both creative and stimulate the senses: a modern museum within ancient walls – Today in the Middle Ages. Travel back in time through the fully preserved 13th century enclosure (seclusion area) buildings in which acoustic and visual installations bring the Middle Ages to life. View the life and labour of the pious Cistercian monks. The men of God were also clever entrepreneurs who ran an extremely successful business, the White Company. You will be surprised by the numerous and unusual similarities with today revealed by the exhibition. Learn just how progressive the mediaeval monks were in both their thoughts and the running of their business interests. 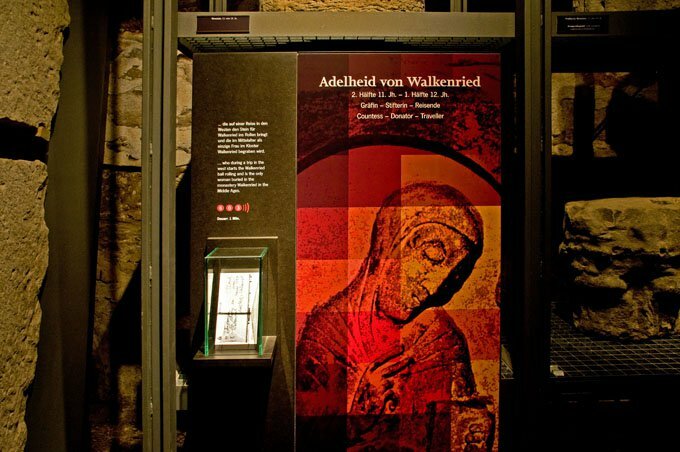 Through the stimulating and creatively designed exhibition, which forms an architectural whole with the historic site, you will get to know historic personalities who played a significant role in the history of Walkenried and of the Middle Ages. Discover the "time stream" with its progression of monastery models that illustrate the economic development and the changes in architecture and occupancy of the monastery. The "daily rhythms" will show you what uncompromising submission to a spiritually determined rhythm is like. 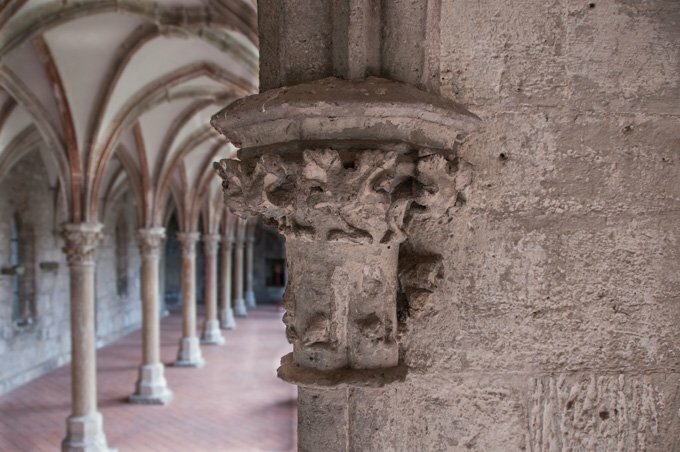 Let an audio guide lead you around the unchanged buildings and the scenographic installations of the CistercianMuseum, or take one of the guided tours with our trained museum guides. The Cistercian Museum Walkenried Monastery is also a great experience for younger visitors. Ancient walls, the life of the monks and tales from the distant past fascinate children. The presentation of the exhibitions and of the historic monastery buildings was also conceived with children's enthusiasm for mysterious places in mind. Curiosity, learning through discovery and stimulation of the senses are promoted. The children's flap was also conceived for curious adults; this element is found in all areas of the exhibition. At the children's flaps you will also find the children's audio guide stations, and our young monastery discoverers are all ears when the cheeky monastery mouse and Monk Conrad guide them through their mediaeval monastery.